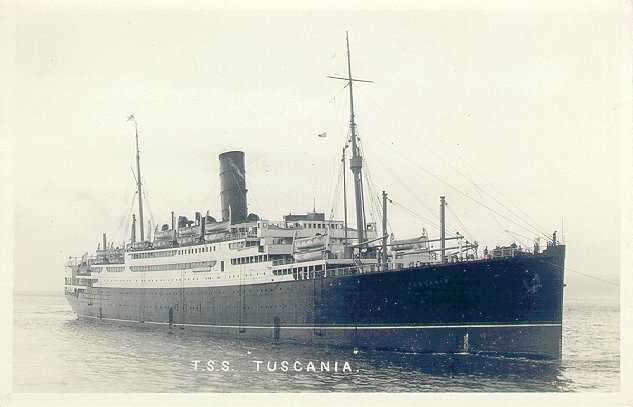 Anchor Line's Tuscania was built by Fairfield Shipbuilding and Engineering of Glasgow. Launched in 1921, she made her maiden voyage from Glasgow to New York on 16 September 1922. 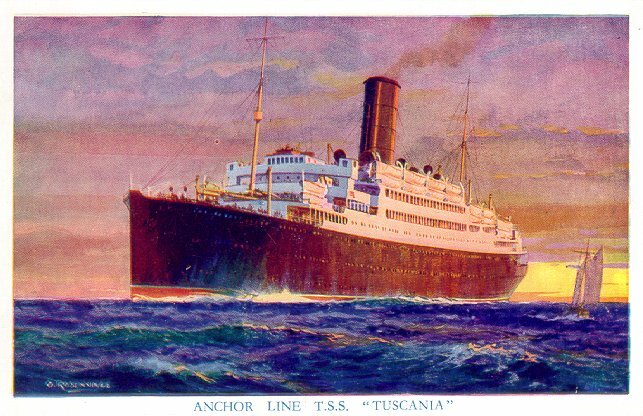 She served on that route and on Anchor's New York-Mediterranean service until 1926, when she was chartered to Cunard and repainted in Cunard colors. 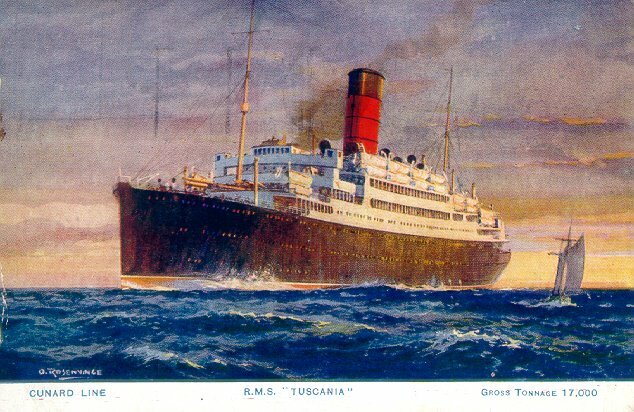 For Cunard, Tuscania sailed from London and Southampton to New York until 1930, when she was laid up for several months. She returned to service for Anchor in 1931, and was then used on a variety of services: Glasgow-Bombay, Glasgow-New York and cruising for Anchor and one Southampton-New York voyage for Cunard in 1931. In 1939 she was sold to the Greek Line and was renamed New Hellas. She served Piraeus-New York and Lisbon-New York until she was requisitioned for use as a British troop transport in 1941, under Anchor's management. She returned to Greek Line's Piraeus-New York service in 1947. In 1955 she was renamed New York and placed on a New York-Bremen service. She returned to the Piraeus-New York route for several months in late 1959 and was then laid up. She was scrapped in Japan in 1961. Sources: Kludas' Great Passenger Ships of the World; Bonsor's North Atlantic Seaway.